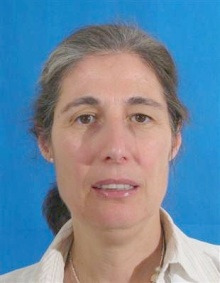 Ora Paltiel is a professor with the Braun School of Public Health and Dept of Hematology Hadassah-Hebrew University. She is trained in Internal Medicine, Hematology and Oncology.She also holds a Master’s Degree in Epidemiology and Biostatistics. Her clinical focus is on the treatment of lymphomas and much of her research has focused on Cancer Epidemiology in Israel concentrating on a variety of risk factors, especially perinatal events and exposures. She has taught a Master’s level course in Cancer Epidemiology for over 10 years. She has attended a course on Environmental Epidemiology at the London School of Hygiene and Tropical Medicine. She has performed both hospital- based and population-based cohort and case control studies in a variety of cancers, and is currently performing a large case control study of genetic and environmental risk factors for non-Hodgkin lymphoma. Ora is the PI on the Center’s project: Serum Carbamazepine Levels Among Healthy Israeli Volunteers.